No one knows more about Moms than Maria Bailey– she literally wrote the books on it! Now she is offering this know-how to you with Marketing to Moms TV – offering tips and advice on how to tap into this unparalleled market. 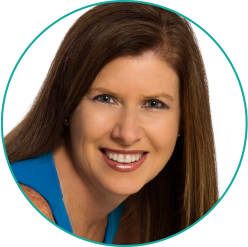 Maria Bailey made her mark in media and business as the foremost authority on marketing to moms but has evolved today as a leader in influencer engagement. Ad Age called her “One of the Must-Follow Women on Social Media.” Maria Bailey is an award-winning author, radio and television talk show personality, international keynote speaker and the CEO of BSM Media. Her company is a full service marketing and media firm known for connecting brands with consumers through innovative and organic outreach programs. She is the guru behind the creation of Disney’s Mickey Moms Club and Disney’s Social Media Moms Celebration, Beaches Resorts Social Media on the Sand and HP’s Print and Pamper Weekend which attracts hundreds of social media influencers to the brand’s destinations and headquarters each year. She has worked with over 300 brands across the globe including: Disney Parks, Chick-fil-A, Walmart, Kimberly Clark, Coppertone, Beaches by Sandals, LeapFrog, Cepia, Build-A-Bear Workshop, Unilever, HP, Children’s Claritin and many more. She is frequently invited to speak at industry conferences and annual meetings for companies including Coca Cola, General Mills, National Association of Convenience Stores, Packaging Show, Digital Kids Conference, Center for Disease Control, Omega 3 National Conference and Healthy Kids Coalition. Maria has published seven books focused on moms and marketing and contributed to more than a dozen others on topics such as marketing, business development, social media, consumer behaviors and strategy. Her book, “Marketing to Moms: Getting Your Share of the Trillion Dollar Market” (Prima, 2002) is the first to examine the buying power of mothers and the most effective marketing initiatives. “Trillion Dollar Moms: Marketing to a New Generation of Mothers” (Dearborn, 2005) focuses on the emergence of Generation X and Generation Y moms and the comparison with Boomer Moms. In “Mom 3.0- Marketing with Today’s Mothers by Leveraging New Media & Technology” Maria explores blogs, vlogs and social media. 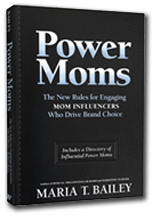 “Power Moms: The New Rules for Engaging Mom Influencers Who Drive Brand Choice” is a resource for marketers who want to identify mom influencers and offers suggestion in engaging with these powerful women. Her latest book published in 2015, “Millennial Moms: 202 Facts Marketers Need to Know to Build Brands and Drive Sales.” “For the Love of Mom” (HCI, 2012) and “The Ultimate Mom Book” (HCI, 2010) are Maria’s only non-marketing publications but nonetheless offer stories about every day mothers. With an audience that spans websites, blogs, social media channels, nationally syndicated radio and print publications; Maria reaches an audience of approximately 8 million moms each month. She has more than 55,000 Twitter followers, thousands of YouTube viewers and Facebook followers. She is the host of Mom Talk Radio™, the first and only nationally syndicated radio show for moms in America. It airs in 50 of the top 100 DMAs and is consistently one of the most popular podcasts on iTunes. Her websites MomTV.com and SmartMomSolutions.com (featuring Maria’s product line) receive thousands of visitors every month. She is also a partner in DrinkPremama.com. How are Millennial Moms – the largest cohort in U.S. history – different from other generations? How can you effectively engage with them on their unique terms, and tap into their annual combined spending power of $750 billion? Earning their business is a snap, tap, or click away thanks to this concise, user-friendly compendium of insights and recommendations by Maria Bailey, internationally known marketing expert. Click here to purchase Millennial Moms. Word of Mom is the most powerful form of marketing for brands who want to connect with the $2.4 trillion Mom Market. The Power Moms- influential mothers who help spread the word about products and services, build brands and boast sales. Learn how to identify and engage this powerful group of consumers. Click here to purchase Power Moms. Meet Mom 3.0: She is a powerful consumer who not only purchases products, but influences the decision making process of her peers through the use of new media, technology and content that is relevant, intuitive and delivers her and her peers ecosystems of solutions. Marketers must market with today’s $2.1 trillion Mom Market to capture her spenging. Learn how to engage Mom Influencers using blogs, vlogs, podcasts, mobile devices and more to grow sales, build brand loyalty and generate buzz. Click here to purchase Mom 3.0. Just as no two women are the same, the experience of being a mom is different for each of us. In The Ultimate Mom, you’ll follow the journeys of mothers through a diverse collection of stories about this rewarding and challenging job. While some stories are humorous, some are inspirational, and others are poignant, all are filled with the passion, devotion, and dedication every mother feels toward her child. Click here to purchase The Ultimate Mom. Recent statistics show that mothers control 80 percent of all household spending- a portion that represents $1.7 trillion in potential sales for marketers. That network of spending extends even further when you consider that moms are faced with buying decisions- from purchases at the office to healthcare selections for aging parents- in nearly every aspect of their lives. In Trillion-Dollar Moms, Baily and Ulman explain how recent generational shifs have impacted the buying behaviors of today’s mothers and moms-to-be. Click here to purchase Trillion-Dollar Moms. Moms wield awesome power as both consumers and decision makers who control the family purse. Just visit any popular park or mall in your town and you’ll hear moms compare health care coverage, discuss the merits of different brands of baby food, and critique the hottest family vacation destinations. Moms spend most of the family’s money, and, thankfully for consumer marketers, moms love to talk about where they spend it. You’ve heard of word of mouth. This is word of mom, the most powerful marketing tool in existence. So how can you and your company get a bigger piece of the trillion-dollar mom market? Author Maria T. Bailey discusses the tools you need to reach the mom market and gain market share for your company. Drawing on 30 extensive interviews with high-level marketing professionals and the responses of more than 500 consumer moms, you’ll uncover the secrets to successfully conveying your message to this economically powerful group. Click here to purchase Marketing to Moms. You start a home-based business for freedom, to satisfy financial expectations, and to meet personal lifestyle goals. When you succeed, it is exhilarating and liberating. But the road to the top is as challenging as it is exciting. You need answers before you have questions. So how can you develop what it takes to nurture your dream and turn it into a vibrant enterprise? Inside, author and successful entrepreneur Maria Bailey—along with over 40 dynamic, knowledgeable, and successful home-based businesswomen—shows you how. Diverse in their backgrounds and representing a variety of industries, annual sales levels, and business philosophies, they’ll provide you with the tips and tools you need as well as essential answers to the toughest questions. Click here to purchase The Women’s Home-Based Business Book of Answers.